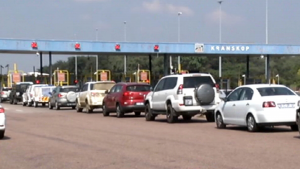 Toll fees on all major roads across the country are going up from Friday. The increase will coincide with a likely hike in fuel prices next Wednesday. Gauteng e-toll tariffs will also go up in line with inflation. Motorists are in for tough times ahead. Finance Minister Tito Mboweni has announced increases in fuel levies during his Budget speech which are expected to come into effect from April 1. The toll fees go up by 4.5%. The most expensive toll fee will be on the N4 Machdodorp in Mpumalanga. It will now cost R94. The N4 plaza at Swartruggens in the North West will now cost R75, N3 Tugela Plaza in Kwazulu-Natal will be R73. The N1 plaza on the Vaal will cost R66 and the N1 Nyl Plaza will be R58. The post Toll fees go up appeared first on SABC News – Breaking news, special reports, world, business, sport coverage of all South African current events. Africa's news leader..